North Korea launches rocket that is seen as covert missile test. People watch a television screen showing breaking news on North Korea’s long-range rocket launch at Seoul Station on Feb. 7, 2016 in Seoul, South Korea. The United States, South Korea, Japan, Russia, Britain, France, and NATO all criticized North Korea’s move to launch a long-range rocket on Sunday, which the DPRK said was carrying a satellite. The country’s neighbors and Washington quickly described the move as a covert program to develop an intercontinental ballistic missile capable of reaching the mainland United States. The U.S. Strategic Command said it had detected a missile entering space, and two objects have been detected in Earth’s orbit. South Korea confirmed the rocket had put an object into orbit. An emergency United Nations Security Council meeting is planned for later on Sunday to discuss a potential response to the “deeply deplorable” launch, as U.N. Secretary-General Ban Ki-moon described it. The move was seen as a particularly strong provocation considering it took place a month after Pyongyang said it tested a hydrogen bomb (a claim other countries have disputed). The launch was also seen as an example of how North Korea is willing to defy China, its one major ally that had repeatedly called on Pyongyang to not proceed with the planned launch. In a statement, the Chinese Foreign Ministry expressed “regret over the launch” but called on global powers to “act cautiously.” China is likely to be none too happy about word that South Korea and the United States have agreed to begin talks on possibly deploying a missile defense system in South Korea. Some believe that the timing of the launch was a way for North Korean leader Kim Jong-un to show off advances in the missile program ahead of the birthday of his late father, Kim Jong-il, on Feb. 16. Others, however, say he could be looking further ahead, trying to show clear successes ahead of the Seventh Party Congress in May. Condemnation may have been fast and furious for most of the world, but in Pyongyang it seems celebration was the name of the game. 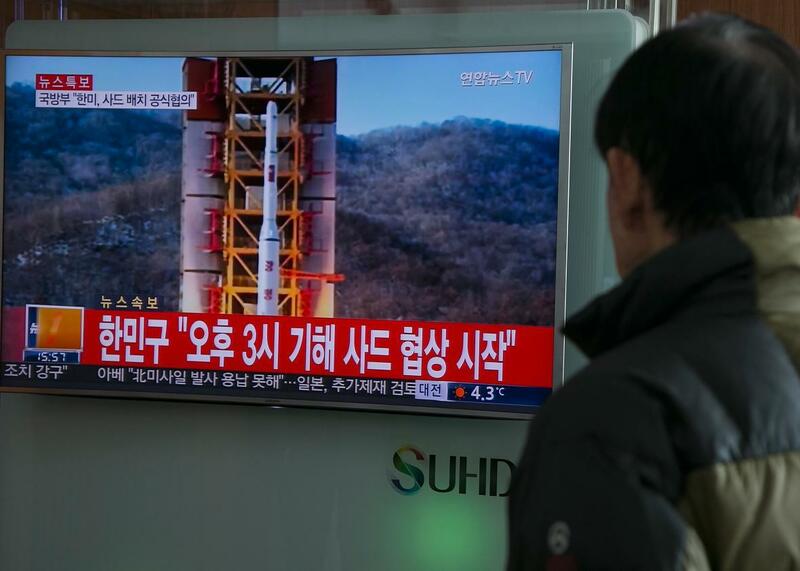 Crowds cheered and clapped as they watched the news of the launch, reports the Associated Press from Pyongyang. “As far as I know, there are few countries in the world that launched their own satellites,” said a Pyongyang resident.